Note: If you’re a Québec resident and you’re repaying RRSP funds that you withdrew under the HBP or the LLP, you’ll also need to complete the TP-935.3-V: Repayment of RRSP Funds Withdrawn Under the Home Buyers' Plan or the Lifelong Learning Plan form. 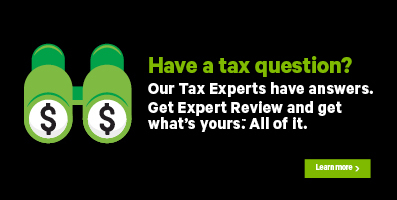 The TP-935.3-V and the RRSP contributions and HBP or LLP repayments forms are combined in H&R Block’s tax software. Tax tip: If you made contributions in the first 60 days of 2017 or in an earlier year, and didn’t claim them on your previous year’s return, you can complete the RRSP contributions and HBP or LLP repayments page and request an adjustment to your return for that year with a T1 Adjustment form. By doing so, you’ll avoid having your deduction reduced or disallowed for contributions made in the first 60 days of a tax year. What if I withdrew an amount from my RRSP to certify a Past Service Pension Adjustment (PSPA)? *The upgrade in pension benefits must relate to a period of employment after 1989. If the amount you withdrew from your RRSP was for a buyback of past service or an employment transfer, your RRSP contribution room will be reduced by the amount withdrawn in the year the pension buyback takes place. For more information on PSPA, refer to the Canada Revenue Agency (CRA) website. Refer to your T4A and/or T4RSP slip for the amounts you’re designating as a qualified withdrawal. Type RRSP contribution receipt or PRPP contribution receipt in the search field and either click the highlighted selection or press Enter to continue. When you arrive at the page for the option you selected, enter your information into the tax software. Note: If you’re entering your RRSP or other retirement fund contributions on the RRSP contributions and HBP or LLP repayments page, you’ll need to have the following amounts from your latest Notice of Assessment or Reassessment on hand.